Ralph Lauren Corporation’s (RL) stock soared over 11% in morning trade on Tuesday after the company surpassed revenue and earnings estimates for the third quarter of 2019. Net revenues grew 5.1% year-over-year to $1.72 billion, on a reported basis, helped by strong results across all regions. On a constant currency basis, revenue growth was 6.3%. Total comparable stores sales growth was 4%, on a constant currency basis. During the third quarter, the company reported a net income of $120 million or $1.48 per share compared to a net loss of $82 million or $1.00 per share in the prior-year period. Adjusted net income was $188 million or $2.32 per share. In North America, revenue grew 3%. Comparable stores sales growth was 4%, reflecting flat comps in brick and mortar stores and a 21% growth in digital commerce. Revenue in Europe increased 10% on a reported basis and 13% in constant currency. In Asia, revenues grew 10% as reported and 11% in constant currency, helped by a 19% constant currency growth in Greater China. Comp store sales in Europe and Asia were both up 4% in constant currency, reflecting growth in both brick and mortar and digital commerce operations. Average unit retail across the direct-to-consumer network was up 9% in the quarter. Global digital revenue rose 20% in constant currency, driven by strength across all regions. Inventory at the end of the quarter grew 11% to $914 million, reflecting investments in store expansion and earlier deliveries. The company expects inventory levels to normalize as it moves through the end of the fiscal year. Ralph Lauren expects net revenue to grow slightly on a constant currency basis in fiscal-year 2019. 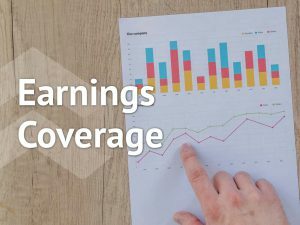 For the fourth quarter of 2019, the company expects net revenue in constant currency to drop slightly due to a planned reduction in off-price sales. Ralph Lauren lowered its outlook for capital expenditures to around $250 million for fiscal 2019 from the previous figure of $275 million, due to timing shifts into fiscal 2020.